Today’s blog post will be a bit particular. I don’t have many news about my games, so for a change I thought to let you know where YOUR money goes. When you buy one of my games, what I do with the money? 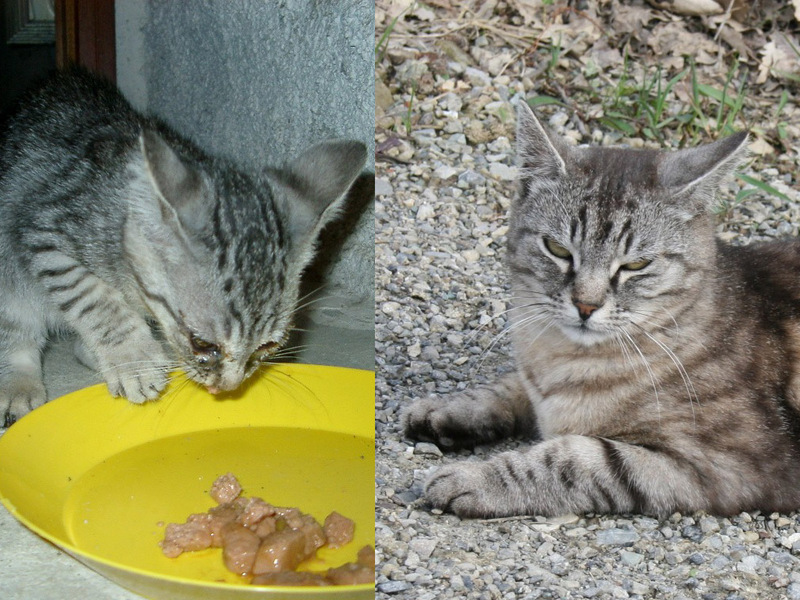 Gilda when we found her on the left, and today on the right. Quite a change! Nina is my favorite cats. 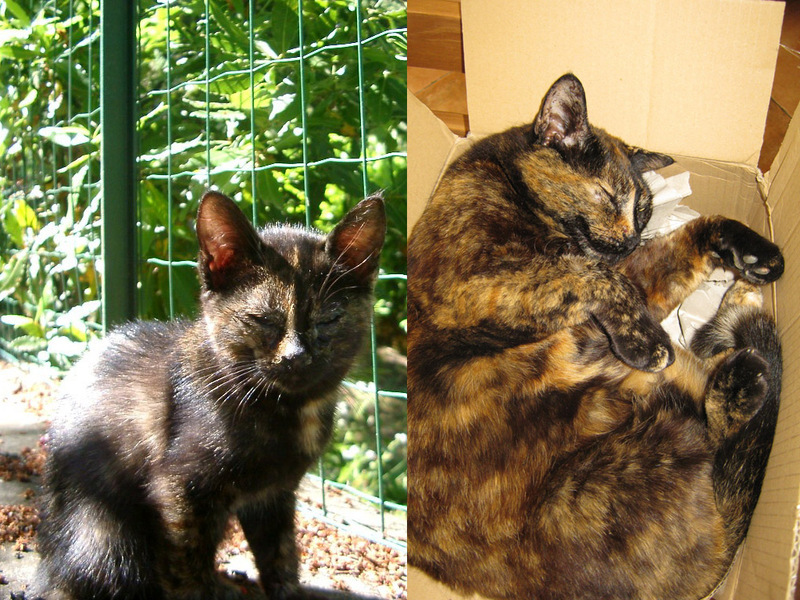 On the left, she was very sick when was a kitten. 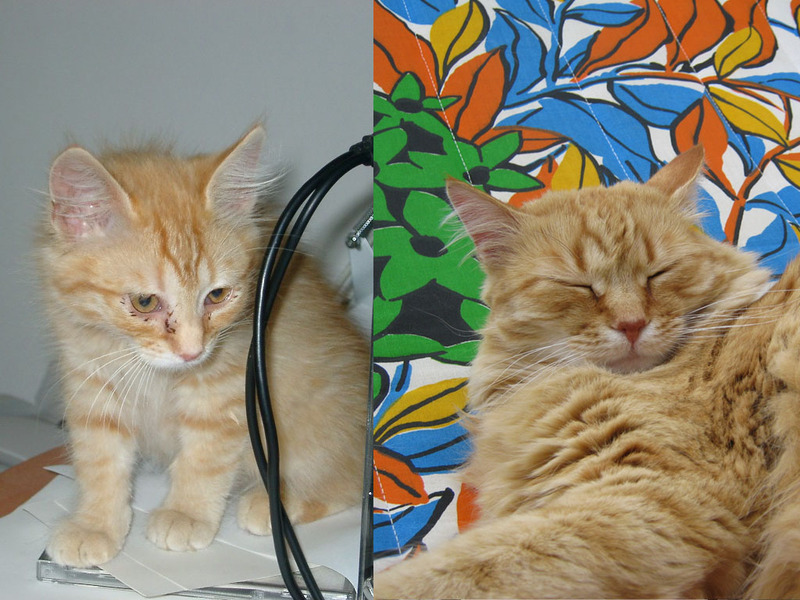 On the right, she recovered well! As you can see, I do something also for two-legged animals! I donate to other various charities but I don’t want to make this post too long about myself in particular. Why I felt the need to talk about this topic? I don’t consider myself a special person, and of course I don’t spend all the money I earn on charity (I need to live and pay people that work for me too!). I did it simply because I think is customers’ right to know how the companies spend the money they earn. Be it big or small, composed by 10000 employees or just one, I think is important to show the people what you use their money for. I know that for most people the only important thing is the final product. Company A makes a product I want, and I buy it because I like it. It’s fine, I have nothing against this. But what if Company A treats employees badly? or uses money to buy patents to force other smaller companies out of business? or does other bad practices? I believe the users should ask themselves those questions. I also think customers have a big power, they can influence the companies. They can tell them “what you’re doing is wrong” and that won’t buy their products anymore unless they change. Being transparent about how you use their money, trying to make ethical decisions whenever possible for your employees, the environment, animals and people is not a secondary thing in a world that sadly seems only ruled by “let’s make more profit!”. This entry was posted in general, indie life, pets. Bookmark the permalink. 14 Responses to Where your money goes? I think that’s awesome! I love your games and it’s nice to know that part of the profits go to saving those adorable fuzzy creatures and of course the not so fuzzy creatures too. As a long time fan of your games, and a furry parent to one rescue cat and one rescue dog, I want to say that I think it’s wonderful that you give back. Great observations about the power consumers have, really makes you think. Thanks 🙂 And yes, I believe consumers should really start to think about such topics, since they’ve more power than they imagine! One thing I’ve noticed is that a lot of companies will donate to charities to get a good name for themselves, but I really respect that you yourself get involved. I love how you not only donate to charity, but you take an actual part to help the animals and you can see the results of your efforts alone. I can, and truly do, respect this. I love the before and after pictures! Makes me feel much better after seeing all of the storm damage in the Philippines.